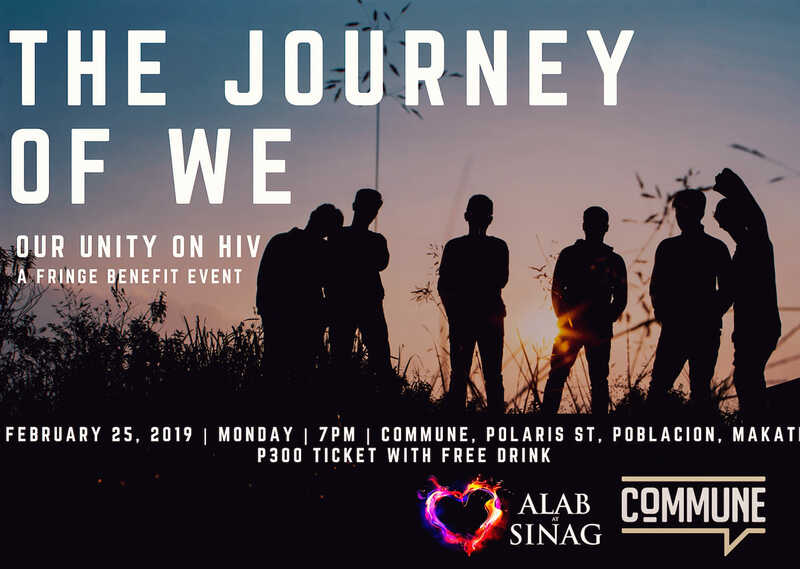 Alab at Sinag and Commune, will show a journey of our humanity, in our unity on HIV. It is through our songs, our poems, and our art, that we can tell a story of how it is to be humane. That HIV is not an exclusion, but a reality, that we can show not just love and compassion, but also respect and understanding. Join us on February 25, at 7 PM, at Commune Cafe + Bar, Polaris st, Poblacion, Makati, as we celebrate life, strength and hope. You can be part of this celebration for P300, which includes a drink by Commune.